Show off your inner Rockstar or Diva as YOU sing your favorite hits with a with a real, live rock band! No tracks, no computers...This is the real deal! Full Band Karaoke puts you center stage with a full band providing the backline for your breakout moment. Choose from a catalog of over 200 hits from classic rock, pop, R&B and more. Then take the stage and rock the night away. Full Band Karaoke provides you with moving lyrics on a teleprompter just like regular Karaoke, only this is a live band and you're the lead singer. Sea Legs brings The Untz Festival preparty to Vegas on April 25th! Heavyweights Thelem, OnHell, and SuDs join us on Hennessey Sound for an unforgettable night of hard hitting bass music. Tickets available now! 1 Night. Pay 1 Time for Multiple 'Rockin' NightClub Parties with Total Access! *VIP Escorted Entry with No Cover Charges. *VIP Transportation with Drinks Included. Not only will it be the Best night of your life, the LGI Experience also includes SKIPPING the LINES. *MUST READ* THIS IS NOT A TICKET! LOOKING TO REGISTER FOR FREE GUEST LIST? TEXT/WHATS APP (702) 786-2933. Guys free entry with even ratio of females. Kaos Nightclub - Entry Details will be emailed to you the week of the event. This is not your ticket to entry. Exact Guest List and/or ticket details will be e-mailed to you the week of the event through eventbrite. This is NOT a ticket of admission. Make sure you read your email for admission instructions! RSVP as soon as possible to be added to the Guest List - space is limited!! Destroy the old. Create the new. A timeless clash in which progress seeks new form. The old resists the new. The new replaces the old. The process is art itself. The outcome: beautiful evolution. It’s not just time to forget the past—it’s time to obliterate it. From these ashes, a new legend is born. Palms. From Dust to Gold. If you have not been out on the club scene or had an unforgettable experience of a lifetime you might not know the name Victor Drai. That is fine. He put his name all over something you will never forget — Drai’s Nightclub. It’s the place in Vegas for club patrons who know the difference between upscale and just scaled up. An elevator ride above the Cromwell, a sensual boutique hotel on the Las Vegas Strip, Drai’s Nightclub continues the Cromwell’s attitude of specifically-chic ambiance catering to the crowd. The clientele can tell that the Strip is changing and they know how small batches of craft work offer greater taste. So coming to Drai’s means accepting that the club is as much a place for art as getting wasted. They offer the usual decadence you’d expect like private jet charters and bottle service packages including absurdly expensive champagne. But even for the average club goer the space is filled with the party favors, drinks and a giant disco ball you need to create a priceless night. And that’s just inside. When the night is warm, which is a lot of time in Vegas, the pool area is open with a view of the Strip, Caesar’s Palace and Bellagio across the street, and the occasional burst of fireworks set off by someone who probably paid more for that honor than we make in a month of writing about it. In many ways, Drai’s Nightclub is like its competitors and it’s cohorts — Drai’s Afterhours and Drai’s Beach Club — but thanks to the efforts of renowned creator Victor Drai and the smaller but special styling of the Cromwell, Drai’s Nightclub has carved out a star-shaped space in a city almost bursting with supernovas. And with the mega performers who have hit the stage, like Iggy Azalea, the Weekend and more, Drai’s Nightclub is a venue that brings the show to the party and thanks you for attendance. If you want a true nightclub experience that still speaks to the boutique mentality of the too-cool-for-everything millennium, try Drai’s Nightclub. Then go to Drai’s After Hours. The contrast makes them both cooler. WHERE IS DRAIS NIGHTCLUB LOCATED?. The entrance to Drai’s Nightclub is separate from the entrance to Drai’s Afterhours, even though they are both inside the Cromwell Hotel & Casino. For the nightclub head to the center of the Casino area. The valet for the Cromwell is quite small and can get jammed up. Leave plenty of time to travel to this property since their may be delays in getting dropped off. The guest list check in will be on the left side of the club entrance. Fashionable attire required, Dress code is strictly enforced with management discretion. The following articles are prohibited, athletic gear and apparel, shorts, torn or cutoff clothing, sandals athletic shoes, work wear, jordans, timberlands, hats, baggy clothing, chains, offensive prints on clothing, weapons, controlled substances, eye drops, gum, outside food or beverages, liquids, vitamins, supplements, over the counter medication, prescription medication without valid prescription, cameras, go-pros, wearable technology, selfie sticks, the use of vaporizers “vapes”. Any device in use will be confiscated and disposed of by management without compensation, guests noticeably intoxicated or under the influence of a controlled substance will be denied entry and will not be eligible to receive a refund. All persons, bags and personal items are subject to search. If you remove your shoes you will be immediately escorted out of the venue. We have a zero tolerance policy. As is often the case in Las Vegas, the rumors were true. The Palms is building a 100,000-square-foot, multi-level dayclub and nightclub with a massive glass wall-operable door dividing indoor and outdoor spaces, a DJ booth that rotates 360 degrees, a supplemental dome cover that will make it a year-round destination and a 65-foot bronze sculpture of a headless demon. It’s going to be KAOS. Conceived by the nationally acclaimed design firm Rockwell Group, the 29,000 square foot nightclub will feature an opulent theme merged with state-of-the-art technology to create a dynamic, luxurious and production-rich environment. The choreography and circulation leading guests to the theater-like club drew inspiration from a modern playhouse, with art and architecture working hand-in-hand to create a surreal, ever-evolving experience. The nightclub utilizes first-of-its-kind technology to enhance interaction and storytelling and creates an immersive, sensory and celebratory experience, brought to life by KAOS’ living brand logo that captures the energy and sound created by the nightclub and its guests. The first round of exclusive artist residencies at the new venue includes English electronic music trio Above & Beyond, hip-hop chart-topper Cardi B, Oakland rapper G-Eazy, longtime Vegas club mainstay, DJ and producer Kaskade, and performing for the first time here in two years, Grammy-winning producer and DJ Skrillex. The luxurious 65,000 square foot Drai’s Beachclub Nightclub ontop of the Cromwell hosts the hottest live acts and DJs, and offers both an indoor and outdoor rooftop party experience. The crown jewel of the newly built Cromwell hotel, Drai’s Nightclub provides an unrivaled view encompassing the entire Strip and beyond. 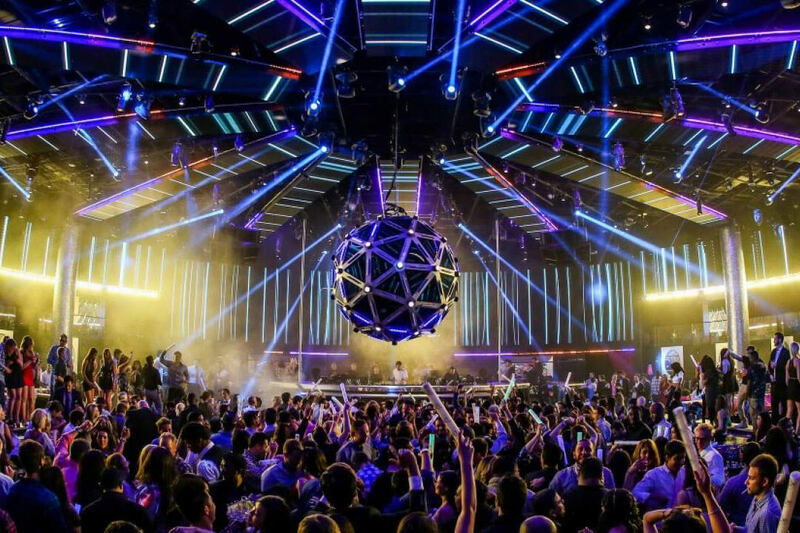 Designed by namesake nightlife impresario Victor Drai’s, this 65,000 square feet venue offers a multi-sensory environment taking entertainment and service to new heights. Meticulous attention to detail, massive LED lighting systems, and modern technology fuse to create a sensual, multi-sensory experience unlike any other on the Strip. Drai’s features over 7,000 square feet of the most state of the art LEDs in production and 75 various indoor & outdoor seating options to accommodate its 2,500 guest capacity. Embrace yourself for the sexiest space ever created, featuring: – 14 premier dance floor tables – 9 upper dance floor tables – 2 VIP balconies – 12 mezzanine level booths – 8 elevated tables behind the DJ booth with 2 VIP restrooms – 21 elevated VIP booths. “I designed this club inch by inch,” Drai’s tells The Hollywood Reporter. “I wanted a different scale and scope.” He’s certainly achieved that. The two-story nightclub has seven control table operators behind the DJ for unsurpassed visuals on the 270-degree wraparound video wall and the first-ever ceiling video panels, so it’s a constant stream of optical illumination. VIP tables and booths ring the dance floor and match the second-floor private balcony areas, all of which are upholstered with black imitation crocodile coverings highlighted with pink and orange. The sound system is off the charts, and the music will rattle your very bones, making the nonstop flood of sound, vibration and light a near-primal sensation. And if lighting off your very own fireworks show has always been a dream, Drai’s will make it a reality starting at $10,000 — detonator included. Dress Code & Prohibited Items. Dress code enforced strictly with management discretion. Athletic gear and apparel, shorts, torn or cutoff clothing, sandals, athletic shoes, work wear, Jordan shoes/apparel, Timberlands, hats, baggy clothing, chains, offensive prints on clothing, weapons, controlled substances, eye drops, gum, outside food or beverages, liquids, vitamins, supplements, over-the-counter medications, prescription medications without valid prescription, cameras, GoPros, wearable technology, selfie sticks, vaporizers (‘vapes’). Any devices found in use will be confiscated and disposed of by management without compensation. Guests noticeably intoxicated or under the influence of a controlled substance will be denied entry and will not be eligible to receive a refund. All persons, bags and personal items are subject to search. If you remove your shoes you will immediately be escorted out of the venue. We have a zero tolerance policy. Drais Guest List / Tickets details will be sent the week of the event. This is not your ticket to entry. Signing up for a guest list does not guarantee entry. Appropriate attire is required. Guestlist may close early if venue reaches capacity. The venue reserves the right to refuse entry for any reason. Text (323) 886 - 2525 if you need help! Operating from the top of the Cromwell Hotel & Casino, Drais Las Vegas is located at the heart of the strip, and showcases a stunning panoramic view of the city's lights and the Bellagio fountains. The club was designed with comfort in mind, and there is plenty of room throughout the space which is a fresh alternative to highly packed areas frequently found around tables and club bottlenecks. The wow factor when entering the club is electrifying, and partiers are introduced to the ambiance from behind the DJ booth. Drai's Vegas is the pinnacle of luxury and stimulation, and is exactly what one would expect from the next iteration of Las Vegas nightlife. Those on our guest list can check in at the entrance of the club. The nightclub is one of the most spacious nightlife venues on the strip. They took care to design extra wide walkways, areas by the multiple bars, and transitions around the club. It is definitely noticeable when the nightclub starts to get packed. Our favorite part of Drai's Las Vegas is the ceiling center piece. It is infused with LED technology and moves and transforms above the dance floor. If you are looking for a Drais promoter you have landed in the right place. CHECK HIM OUT LIVE AT DRAI'S NIGHT CLUB EVERY THURSDAY NIGHT!!! Get on the free guestlist for DJ Vice at Tao Las Vegas on Thursday 4/25/2019! Use the free Discotech App to sign up for guestlist, buy tickets, or book table service at Tao + other clubs in Las Vegas. Looking to book bottle service at Tao? Feel free to contact us at reservations@discotech.me or 415-735-6716 to get a custom table service quote for your party! Please include the number of guys/girls in your party and the date & club you're interested in. Born and raised in Eagle Rock, DJ Vice was exposed to Power 106 during High School. Vice met Lozano one day when Power 106 came to his school during lunch. There was one kid who won every trivia question asked, It was VICE. DJ Vice has always been a big fan of the station, he listened all the time 24/7. Mixing has always been in Vice's blood. Mixing since the 8th grade, he played dances, house parties, even a barmitzva. He once heard what he considered a horrible street team mixer and said to his friends, "…Damn, I need to be on the radio". DJ Vice started mixing on Power 106 in April of '97. He still recalls being 3 hours early for his mix and his hands as sweaty as Mr. Choc's forehead!! One thing that has surprised him the most..."I never realized that I could make a living out of mixing", Vice said. "There are so many other things you can do, like TV" Vice is referring to his co/host position on Nickelodeon's "The Snick House". That lasted nine months. Most people would be surprised to know that DJ Vice collects and spins House, Trance, and Break Beats. Vice says, "A lot of people are afraid to admit that, I say music is music and a DJ should be able to play anything from Joan Jett, Jay-Z to Beanie Man, anything"
DJ Vice is also known for the mix CD's he puts out worldwide every other month. He feel's radio is a very important aspect of breaking new music but the streets are just as important. Vice say's "…some records are huge in the clubs but you have never heard them played on radio there meant for the streets!!" Be on the lookout at your local mom and pop record stores for his hop-hop and R&B mega mixes that please both radio listeners and the underground heads. DJ Vice loves mixing because he loves music and has since he was young. It is a way for him to express himself and show what he is feeling. Listen for him during the Cali-Caliente Powermix weekends to see for yourself. Tao Las Vegas has been one of the strongest performing nightclub venues in Las Vegas. This multi-faceted and multi-story party place is home to a restaurant, lounge, nightclub, and pool party. Tao Nightclub has multiple rooms for you to explore each with it's own type of music and design. Each year Tao adds something new to the club. Weather its new lighting, a redesigned DJ booth, or adding a flying model that delivers your bottle service from the ceiling. Tao Nightclub has been known the have the hottest go go dancers and production girls in the industry. Look to your left and you may see an exotic girl lounging in a bathtub filled with rose petals. Look to your right and you'll see dancers near the ceiling above the DJ booth. Tao is all about attention to detail, and you will find it throughout the club. The dance floor is always jumping, and with multiple bars it is easier to get a drink than in other spots around town. All in all you can't go wrong with Tao Nightclub. If you are looking for a Tao promoter you have landed in the right place. Common bottles of alcohol are priced between $500 and $650. Feel free to ask about the Tao menu. These prices do not include 8% tax and 20% gratuity. The price for the tables and the bottles are the same thing. All of your spend for the table goes toward your bottles. As a minimum in Vegas it is common that you will need to purchase at least 1 bottle for every 5-6 people in your group. Bottle service tables for Tao Nightclub start at $500. Tables at this entry price will likely not have placement in the main room, but will be in the Opium room. Tables in the main room start at $1,500 with placement in the Skybox. Tables in the moat of the main room start at $2,000. The best tables are located near the dance floor and are priced starting at $3,000. TEXT (323) 886 - 2525 for VIP Bottle Service Reservations!! Join UNLV Collegiate DECA for the highly anticipated release of Avengers Endgame at Town Square AMC Theaters! Feel free to invite your friends, family, Marvel fans, etc to this private screening! Proceeds of the event will go towards helping UNLV DECA members compete at ICDC this year in Orlando, Florida. The ticket sales will close at midnight on April 24th and are going fast, so be sure to grab them before they are gone! If you are a member and would like to purchase a ticket with cash, please contact one of our committee members or UNLV DECA. Contact us at unlvdeca@gmail.com if you have any questions. This event has been approved for 4 CLE credits. Join us for the Agent Alchemist INTENSIVE Seminar in Sunny Las Vegas! This intensive Agent Training Seminar will be an opportunity for agents to completely transform their perception and approach to acquiring leads and turning those leads into solid sales. Registration starts at 8am and the event starts promptly at 8:30am please be early to register as we will be jumping right into things! There will be discussions, panels and public speakers that are the Experts in their field as well as a collection of Insurers, Attorneys, and Affiliate Sponsors that see the amazing opportunities this seminar is generating for all of the agents who attend. "We're Turning Leads Into Gold"
All the great things we brought you from TSAC 1 and 2 with a Vegas twist! Lots of news to come regarding final festival schedule, clinic sign ups, surprises and so much more! Special hotel pricing from our hosts, the Plaza Hotel & Casino, will be offered to all registrants. Code will be e-mailed to you once your registration is processed. Once registered, please visit the Dink Pickleball website for news and information as it develops. See you in Las Vegas in April! A very special thank you to Franklin Sports, the Las Vegas Pickleball Festival's premiere sponsor as well as our hosts for this amazing festival, the Plaza Hotel & Casino! Afternoon clinics, city tours and/or day time entertainment - sign up for your preferences at check in. Happy Hour - 5 pm - 6 pm - Cash bar only. Dinner and evening entertainment included with registration. Cash bar will be available throughout evening. All day long - clinics, city tours and/or day time entertainment - sign up for your preferences at check in. Plus lots of other surprises and exciting announcements! Vegas Connects Summerlin is so excited to have one of our 'members', Devra Betts, as our Speaker. This woman knows a thing or two when it comes to health and your gut. She is an author, a certified speaker and an amazing woman who has a heart for wanting everyone to be healthy and eat right. If you have any questions in regards to this group, please don't hesitate to contact Jill Branson by FB pm. Bring a friend and see what Vegas Connects is all about! This free one-hour workshop introduces you to Teams, the hub for teamwork from Microsoft 365. What you say matters, but not nearly as much as how you say it. Conveying the wrong message to the media, the public or even your co-workers can have devastating effects. Your company, your career or investor confidence can disappear in a heartbeat when you fail to communicate clearly. The highly-rated 10e Media Workshops are perfect for anyone looking to improve their ability to communicate successfully when it matters most. Attendees will get first-hand experience on how to convey important messages in regular settings and under pressure using the three critical elements of communication. Created and led by Emmy-Award winning communications specialist Kendall Tenney, the interactive, four-hour course for up to eight attendees, allows each participatant to practice and review vital skills that will lead to more success when it comes to interaction with the media, the public or colleagues. Tenney (10e) also offers specialized training sessions for corporations, colleges and inviduals that have proven to be extremely valuable for companies and executives, both national and international. This particular workshop offers elements valued at nearly two thousand dollars when purchased invididually. This workshop that will benefit your organization and our community! Goal: To educate those in the social service and non-profit sectors on the key components of seeking funding opportunities through grants. For questions or assistance with registration, please contact us at 702-440-9390. The beautifully manicured grounds of the Flamingo's pool area offer creature comfort in more ways than one. The picturesque habitat, with its plentiful waterfalls, fountains and palms is a popular photo spot. Visitors are amused by the flamingo fountain, as well as the memorial to Bugsy Siegel, located on land where the gangster's living quarters once sat. Text (323) 886 - 2525 if you need any help! Ladies get a FREE DRINK before 12pm!! *Guest List details subject to change. Exact entry info will be sent to you the week of the event. This is not your ticket to entry. Admission details will be sent the week of the event. Text +1(602)475-5596 for further details and Bottle Service Specials. Drai's Beachclub has unparalleled views of the Las Vegas Strip and is world-renowned for discovering the best musical talent. 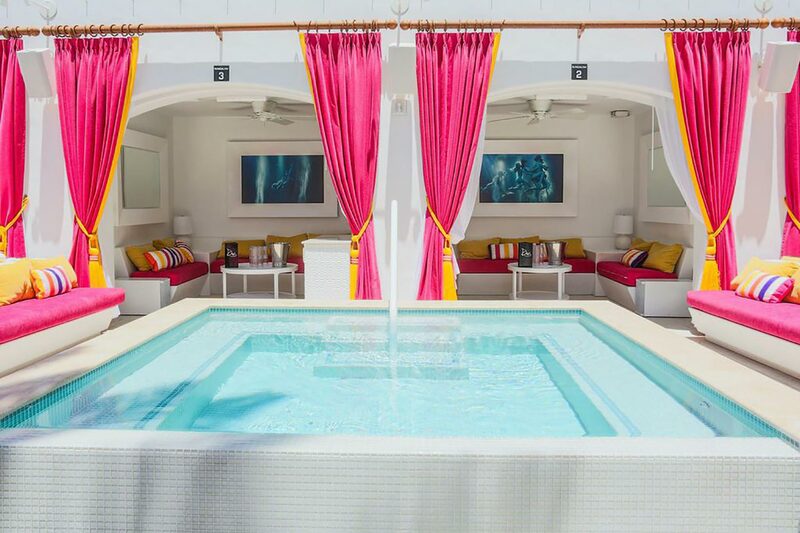 Drais offers an experience unlike any other Las Vegas Beachclubs. 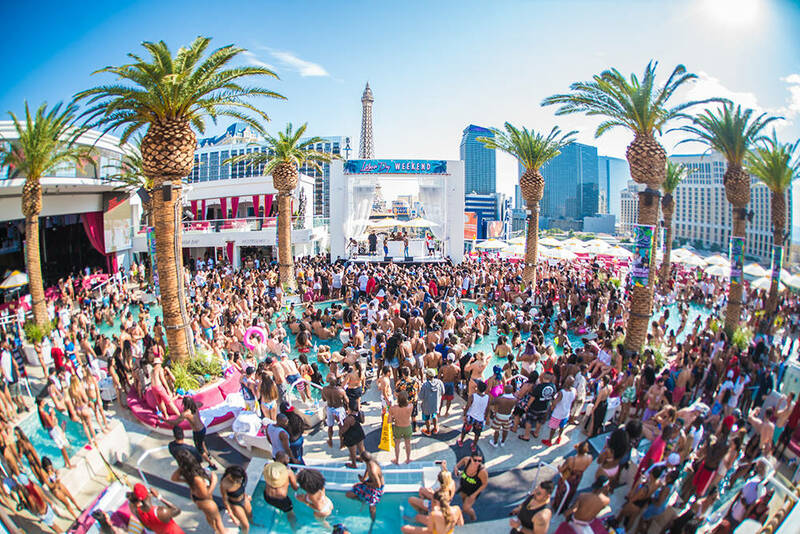 Drais Beach Club - HOTTEST Vegas Rooftop Pool Party! Guest List details will be sent out the week of the event. If you did not receive guest list details, text me at (347) 753 - 6732 and I'll help out! Don’t forget your sunscreen! Avoid getting burnt from the sun by applying it before entering the venue, and then as needed throughout the day so you can look and feel your best all day! Bring a hat and sunglasses to stay protected from the sun. Forgot your hat? No problem, we got you covered! Drai’s has a great selection of stylish hats (and apparel) on sale in the venue. Hydrate, hydrate, hydrate! If you partied hard the night before at Drai’s Nightclub and you’re planning on enjoying some refreshments the rest of the day, it’s important to keep your body hydrated. Water and other beverages will be sold all day, helping you keep going throughout the weekend without problems! Just as important as hydrating, it’s best to be properly nourished so you can be energized for the big weekend. Drai’s Beachclub offers a full-service gourmet kitchen where guests can grab a bite by the poolside, VIP cabana or shaded patio at Drai’s Café! Specialty items include fresh shrimp ceviche, internationally-inspired hot dogs, artisan flatbreads, the world-famous Drai’s Slider, and much more to satisfy any appetite. When you decide to go for a swim, make sure your belongings are in a safe, trusted area you can keep an eye on. Drai’s Beachclub also provides lockers as needed, please ask one of our many friendly staff for details. If you and your group are not getting a cabana, table or daybed, we recommend arriving earlier in the day to grab a spot by the poolside. The dayclubs are sure to fill up quickly, so this is something you and your group should keep in mind. Keep your shoes/sandals on at all times when you are not in the pool, as the pavement will get hot during the Vegas summer. Also, try not to leave your shoes/sandals in the sun when out for a swim — putting them in shade like under a chair, table or towel will prevent your feet from burning when putting them back on. Let’s keep your feet in the best shape so you can keep on dancing! You'll be able to spend your table minimums by choosing alcohol and food from our Menu. Mixers are included, security for your area as well as express admission into the venue are also included in your VIP Reservation. Text (323) 886 - 2525 for all VIP Table reservations! At Drai’s Beachclub, fashionable day club attire is required as the dress code will be strictly enforced. However, some fashion pieces will be prohibited from the club. Persons not dressed for bathing will not be allowed in the pool or spa. Clothing which can be considered vulgar or otherwise likely to cause a disturbance is not permitted. Management reserves the right to refuse service to anyone unwilling to comply with our dress code. Those unwilling to comply may be asked to depart the property. Leave all non-essential items in your hotel room/at home. When going to the dayclub, please plan ahead and do not carry any of these items. Any devices found in use will be confiscated and disposed of by management without compensation. Guests noticeably intoxicated or under the influence of a controlled substance will be denied entry and will not be eligible to receive a refund. All persons, bags and personal items are subject to search. We have a zero-tolerance policy.